Joachim Landtmeters, student Master of Engineering: Logistics and Traffic at KU Leuven, wrote an interesting paper about creating a local network through shared mobility. In his research, Joachim focuses on the implementation of shared mobility in cities and municipalities, more specifically via mobihubs. He analyzed the situation of the city of Leuven. 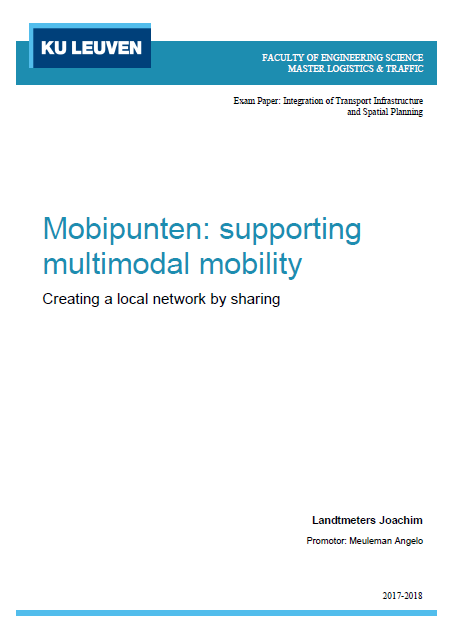 The paper shows that there is potential for the implementation of mobihubs on a large scale. Moreover, he states that, despite the unique nature of each mobihub, the uniform recognisability of mobihubs in Flanders is of great importance. Read the full paper here. Just a year after the launch of the mobipunt (mobihub) concept in Flanders and following the recent launch of the concept in the Netherlands, interested parties in these regions are getting serious about planning mobihubs in their communities. 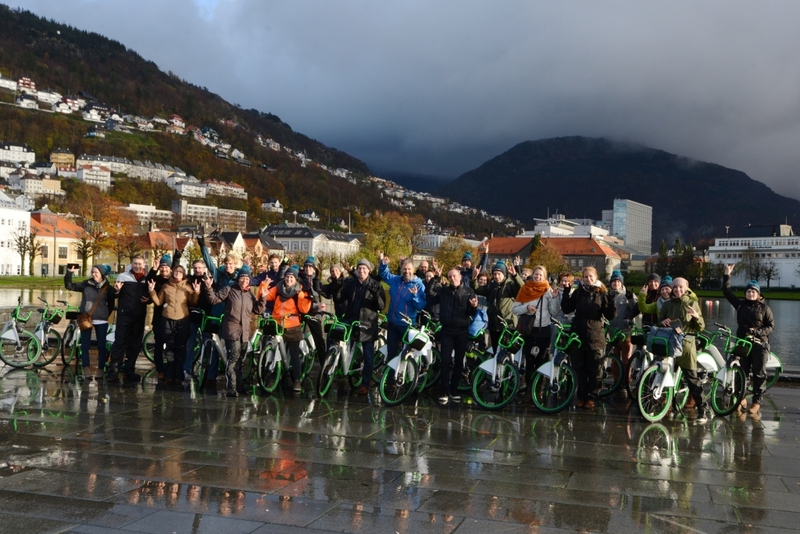 On October 24-26th, the first Mobihub Academy was held by the SHARE-North project partners in Bergen (NO) for a delegation of Belgian public authorities from local and regional governments, transport providers and NGOs. Read the full article on the SHARE-North website. After the cities of Deinze, Vilvoorde and Schoten, Brasschaat implemented their first mobipunt in October this year. 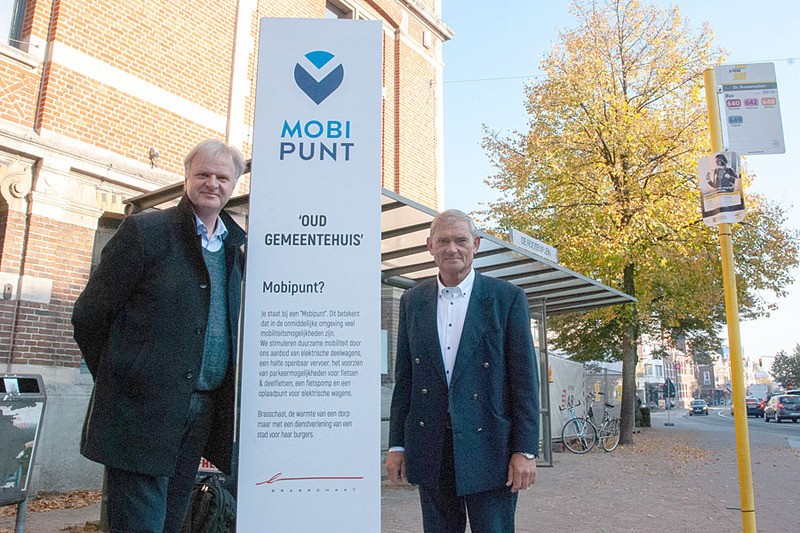 The mobipunt “Oud Gemeentehuis” combines electric carsharing, bikesharing, qualitative bike parking and frequent public transport. The implementation of their first mobipunt is part of the strategy towards clean air, address congestion by reducing private car ownership and creatie livable neighborhoods. Brasschaat has the ambition to install a mobipunt in every of the 9 quarters with also place for E-taxi’s and sharelocks.